Professor Ranjan Banerjee received his Bachelor's and Master's Degree in Mechanical Engineering from the University of Calcutta (1969) and the Indian Institute of Technology, Kharagpur (1971) respectively. He joined the Structural Engineering Division of the Indian Space Research Organisation, Trivandrum and worked there for four years (1971-75) first as a Structural Engineer and then as a Senior Structural Engineer. He was involved in the research and development of multistage solid propellant rocket structures with particular emphasis on dynamic response. Later in the year 1975 he was awarded a Commonwealth Scholarship by the Association of Commonwealth Universities to study for a PhD degree at Cranfield University where he conducted research within the technical areas of structural dynamics and aeroelasticity. He completed his PhD in 1978. An important spin-off from his PhD work is the development of an aeroelastic package called CALFUN (CALculation of Flutter speed Using Normal modes) which has been extensively used as a teaching and research tool in aeroelastic studies. 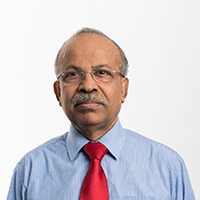 Professor Banerjee joined the University of Cardiff as a Research Associate in 1979 and worked there for six years on vibration and buckling characteristics of space structures using the dynamic stiffness method. He worked in close collaboration with NASA, Langley Research Center, and was principally involved in the development of the well established computer program BUNVIS (BUckling or Natural VIbration of Space Frames) which was later used by NASA and other organizations to analyse spacecraft structures. He was promoted to the position of Senior Research Associate in 1982. Professor Banerjee joined City University in 1985 as a Lecturer in Aircraft Structures. He was promoted to Senior Lectureship and Readership in 1994 and 1998 respectively. In March 2003 he was promoted to Professorship. He was elected into the EPSRC Peer Review College in 1996 and served until 1999, and was re-elected in 2002, and is currently serving in the College. He has continued to teach the subjects of mechanics, strength of materials, aircraft structures and composite materials, and is carrying out research in the field of structural dynamics and aeroelasticity. To date he has published around one hundred and fifty papers in international journals and established conferences. Liu, X. and Banerjee, J.R. (2017). A novel spectral dynamic stiffness method for efficient and exact elastodynamic analysis within the whole frequency range. Kang, S.E., Banerjee, J.R. and Mintz, B. (2015). Influence of P on the hot ductility of high Al, TWIP steels. Banerjee, J.R. and Gunawardana, W.D. (2015). Development of a dynamic stiffness element for free vibration analysis of a moving functionally graded beam. Vo, T.P. and Banerjee, J.R. (2015). Free vibration of axially loaded composite beams using a quasi-3D theory. Kassem, H.I. and Banerjee, J.R. (2015). Transonic speed flutter analysis of a rectangular wing using the openFOAM computational fluid dynamics code and the dynamic stiffness method. Liu, X. and Banerjee, J.R. (2015). The spectral-dynamic stiffness method: A novel approach for exact free vibration analysis of plate-like structures. Su, H. and Banerjee, J.R. (2015). Derivation of the dynamic stiffness matrix of a functionally graded beam using higher order shear deformation theory. Fazzolari, F.A. and Banerjee, J.R. (2014). Natural frequencies of composite cross-ply spherical panels using the dynamic stiffness method and the wittrick-williams algorithm. Fazzolari, F.A. and Banerjee, J.R. (2014). Free vibration characteristics of laminated composite cylindrical panels: An exact solution procedure. Liu, X., Papkov, S. and Banerjee, J.R. (2014). An analytical solution for free transverse vibration of plates with arbitrary boundary conditions. Pagani, A., Carrera, E. and Banerjee, J.R. (2014). Buckling of beams by refined theories and dynamic stiffness method. Kassem, H.I., Liu, X. and Banerjee, J.R. (2014). Flutter analysis using a fully coupled density based solver for inviscid flow. Banerjee, J.R., Liu, X. and Kassem, H. (2013). Free vibration and flutter characteristics of high aspect ratio aircraft wings. 12th Conference on Dynamical Systems- Theory and Applications 2-5 December, Lodz, Poland. Su, H. and Banerjee, J.R. (2013). Free vibration of a cracked Timoshenko beam using the dynamic stiffness method. Eleventh International Conference on Vibration Problems (ICOVP) 9-12 September, Lisbon, Portugal. Su, H. and Banerjee, J.R. (2013). An exact dynamic stiffness element for free vibration analysis of beams using higher order shear deformation theory. Fourteenth International Conference on Civil, Structural and Environmental Engineering 3-6 September, Cagliari, Sardinia, Italy. Fazzolari, F.A. and Banerjee, J.R. (2013). A dynamic stiffness formulation for free vibration analysis of doubly curved composite shells based on a higher order shear deformation theory. 9th International Symposium on Vibrations of Continuous Systems 21-26 July, Courmayeur, Italy. Fazzolari, F.A. and Banerjee, J.R. (2013). A mixed hierarchical trigonometric Ritz formulation for free vibration analysis of doubly-curved anisotropic shells accounting for higher order expansion of the reciprocal of Lame/ parameters. 17th International Conference on Composite Structures 17-21 June, University of Porto, Porto, Portugal. Pagani, A., Carrera, E., Boscolo, M. and Banerjee, J.R. (2013). Exact dynamic stiffness elements using 1D higher-order theories: Application to sandwich beams. 17th International Conference on Composite Structures 17-21 June, University of Porto, Porto, Portugal. Fazzolari, F.A. and Banerjee, J.R. (2013). A refined dynamic stiffness element for free vibration analysis of composite circular cylindrical shells based on higher order shear deformation theory. 54th AIAA/ASME/ASCE/AHS/ASC Structures, Structural Dynamics and Materials Conference 8-11 April, Boston, Massachusetts, USA. Su, H. and Banerjee, J.R. (2012). Free vibration of a functionally graded Timoshenko beam using the dynamic stiffness method. Eleventh International Conference on Computational Structures Technology 4-7 September, Dubrovnik, Croatia. Fazzolari, F.A., Boscolo, M. and Banerjee, J.R. (2012). Dynamic Stiffness Formulation for Exact Buckling Analysis of Composite Plates and Stringer Panels Using a Higher Order Shear Deformation Theory. International Conference on Mechanics of Nano, Micro and Macro Composite Structures 18-20 June, Polytechnic of Turin, Turin, Italy. Moscolo, M. and Banerjee, J.R. (2012). Layer-wise dynamic stiffness method for exact free vibration analysis of sandwich plates. International Conference on Mechanics of Nano, Micro and Macro Composite Structures 18-20 June, Polytechnic of Turin, Turin, Italy. Fazzolari, F.A., Boscolo, M. and Banerjee, J.R. (2012). Flutter and divergence behaviour of composite wings at subsonic speeds. International Conference on Mechanics of Nano, Micro and Macro Composite Structures 18-20 June, Polytechnic of Turin, Turin Italy. Fazzolari, F.A., Boscolo, M. and Banerjee, J.R. (2012). Dynamic Stiffness Formulation and Free Vibration Analysis of Composite Plates using Higher Order Shear Deformation Theory. 53rd AIAA/ASME/ASCE/AHS /ASC Structures, Structural Dynamics, and Materials Conference 23-26 April, Sheraton Waikiki Honolulu, Hawaii. Boscolo, M. and Banerjee, J.R. (2012). Dynamic stiffness laminate elements for exact modal analysis of aeronautical structures. 53rd AIAA/ASME/ASCE/AHS/ASC Structures, Structural Dynamics and Materials Conference 23-26 April, Honolulu, Hawaii, USA. Banerjee, J.R. and Jackson, D.R, (2011). Free vibration of a rotating tapered Rayleigh beam: a dynamic stiffness approach. Thirteenth International Conference on Civil, Structural and Environmental Engineering Computing 6-9 September, Chania, Crete, Greece. Boscolo, M., , Fazzolari, F.A., and Banerjee, J.R. (2011). Advances in dynamic stiffness plate elements for free vibration analysis of isotropic plates and stringer panels with mass and spring attachments. 8th International Symposium on Vibration of Continuous System 18-22 July, Whistler, British Columbia, Canada. Banerjee, J.R. (2011). Free vibration of rotating beams using the dynamic stiffness method. Sixth MIT Conference on Computational Fluid and Solid Mechanics 15-17 June, Massachusetts Institute of Technology, Cambridge, USA. Kang, S.E., , Tuling, A, , Banerjee, J.R. and Mintz, B. (2010). The hot ductility of TWIP steels. 2nd International Conference on Super High Strength Steels, Associazione Italiana Di Metallurgia, Paper No. 112 20 October, 17 OCT 2010. Mania E., , Banerjee, J.R. and Mintz, B. (2010). Influence of processing route and composition on the strength and impact behaviour of grade “A110” high strength steel. 2nd International Conference on Super High Strength Steels, Associazione Italiana Di Metallurgia, Paper No. 138 17-20 October. Boscolo, M. and Banerjee, J.R. (2010). Dynamic stiffness formulation for plates using first order shear deformation theory. 12-15 April, Orlando, Florida, USA. Banerjee, J.R. and Guo, S. (2009). On the dynamics of a cracked beam. 50th AIAA/ASME/ASCE/AHS/ASC Structures, Structural Dynamics and Materials Conference 4-7 May, Palm Springs, California, USA. Banerjee, J.R. and Dastgir, A., (2009). Bending-Torsion coupled free vibration of laminated composite beams with hybrid stacking sequence. Plenary Lecture. International Conference on Advanced Materials for Acoustics and Vibration 4-6 January, The British University in Egypt, Cairo, Egypt. Banerjee, J.R., Su, H, and Gunawardana, W.D, (2008). Dynamic stiffness formulation and free vibration analysis of a moving Timoshenko beam. 49th AIAA/ASME/ASCE/AHS/ASC Structures, Structural Dynamics and Materials Conference 7-10 April, Schaumburg, Illinois, USA. Banerjee, J.R. and Gunawardana, W.D. (2007). Free vibration of a moving Timoshenko beam using the dynamic stiffness theory. Eleventh International Conference on Civil, Structural and Environmental Engineering 18-21 September, St. Julians, Malta. Banerjee, J.R. and Ewen, J.N. (2007). Dynamic stiffness formulation using timoshenko theory for free vibration of rotating beams. 48th AIAA/ASME/ASCE/AHS/ASC Structures, Structural Dynamics and Materials Conference 23-26 April, Honolulu, Hawaii, USA. Banerjee, J.R. (2006). Free vibration of a composite Timoshenko beam using the dynamic stiffness method. Eighth International Conference on Computational Structures Technology 12-15 September, Las Palmas de Gran Canaria, Spain. Banerjee, J.R., Cheung, C.W.C., Morishima, R., Perera, M. and Njuguna, J. (2006). Free Vibration of a Three-layered Sandwich Beam using Theory and Experiment. 47th AIAA/ASME/ASCE/AHS/ASC Structures, Structural Dynamics, and Materials Conference 1-4 May, Newport, Rhode Island, USA. Banerjee, J.R. and Su, H., (2006). A new method for free vibration of beams using theory of elasticity. 49th AIAA/ASME/ASCE/AHS/ASC Structures, Structural Dynamics and Materials Conference 7-10 April, Schaumburg, Illinois, USA. Su, H. and Banerjee, J.R. (2005). Free vibration analysis of a spinning Timoshenko beam using the dynamic stiffness method. Sixth International Conference on Structural Dynamics (EuroDyn 2005) 4-7 September, Paris, France. Banerjee, J.R. and Su, H. (2005). Dynamic stiffness formulation and free vibration analysis of a composite beam. Tenth International Conference on Civil, Structural and Environmental Engineering Computing 30 Aug 2005 – 2 Sep 2005, Rome, Italy. Banerjee, J.R. and Su, H., (2004). Free vibration of a spinning composite beam using the dynamic stiffness method. Seventh International Conference on Computational Structures Technology 7-9 September, Lisbon, Portugal. Su, H., and Banerjee, J.R. (2004). Free vibration of a combined continuous and discrete structural system using the dynamic stiffness method. Second International Conference on Structural Engineering, Mechanics and Computation (SEMC-2004) 5-7 July, Cape Town, South Africa. Eslimy-Isfahany, S.H.R., and Banerjee, J.R. (2004). The importance of dynamic behaviour in the design of laminated composite beams. Second International Conference on Advanced Polymer Composites for Structural Applications in Construction (ACIC 2004) 20-22 April, University of Surrey, Guildford, UK. Su, H. and Banerjee, J.R. (2004). An exact dynamic stiffness matrix for a two-part beam-mass system and its applications. 45th AIAA/ASME/ASCE/AHS/ASC Structures, Structural Dynamics and Materials Conference 19-22 April, Palm Springs, California, USA. Su, H., Cheung, C.W. and Banerjee, J.R. (2003). Free Vibration of Metallic and Composite Beams Exhibiting Bending-Torsion Coupling. Ninth International Conference on Civil and Structural Engineering Computing 2-4 September, Egmond-aan-Zee, The Netherlands. Banerjee, J.R. and Su, H.J. (2003). Dynamic stiffness method for free vibration analysis of a two-part beam-mass system. Fifth International Conference on Stochastic Structural Dynamics 11-13 August, Hangzhou, China. Guo, S. and Banerjee, J.R. (2003). Effect of laminate lay-up on flutter speed and strength of a composite wing. 14th International Conference on Composite Materials (ICCM-14) 14-18 July, San Diego, California, USA. Banerjee, J.R. and Su, H. (2003). Dynamic stiffness formulation for beams undergoing free transverse and lateral vibration with torsional coupling. 44th AIAA/ASME/ASCE/AHS/ASC Structures, Structural Dynamics and Materials Conference 7-10 April, Norfolk, Virginia, USA. Banerjee, J.R. and Su, H. (2002). Dynamic stiffness formulation and free vibration analysis of spinning beams. Sixth International Conference on Computational Structures Technology 4-6 September, Prague, Czech Republic. Njuguna, J., Su, H., Cheung, C.W. and Banerjee, J.R. (2002). The influence of ply orientation on the free vibration of laminated composite beams. ACUN-4 Conference on Composite Systems - Macropcomposites, Microcomposites, Nanocomposites 21-25 July, University of New South Wales (UNSW), SYDNEY, Australia. Banerjee, J.R. (2001). Flutter analysis of suspension bridges. First International Conference on Fluid Structure Interaction 26-28 September, Halkidiki, Greece. Banerjee, J.R. (2001). Free vibration of sandwich beams using the dynamic stiffness method. Eighth International Conference on Civil and Structural Engineering Computing 19-21 September, Eisenstadt, Vienna, Austria. Banerjee, J.R. (2001). Modal analysis of axially loaded composite Timoshenko beams using symbolic computation. 42th AIAA/ASME/ASCE/AHS/ASC Structures, Structural Dynamics and Materials Conference 16-19 April, Seattle, Washington, USA. Banerjee, J.R. and Butler, R, (2000). Flutter analysis of composite wings using symbolic computation. 22nd Congress of the International Council of Aeronautical Sciences (ICAS) 28 Aug 2000 – 1 Sep 2000, Harrogate, UK. Banerjee, J.R. (2000). Aeroelasticity of composite wings. Seventh Annual International Conference on Composite Engineering 2-8 July, Denver, Colorado. Banerjee, J.R. (1999). A Exact analytical method of flutter analysis using symbolic computation. 40th AIAA/ASME/ASCE/AHS/ASC Structures, Structural Dynamics and Materials Conference 12-15 April, St. Louis, Missouri, USA. Eslimy-Isfahany, S.H.R. and Banerjee, J.R. (1999). Experimental and theoretical investigations into buckling of bending-torsion coupled composite columns. 40th AIAA/ASME/ASCE/AHS/ASC Structures, Structural Dynamics and Materials Conference 12-15 April, St. Louis, Missouri, USA. Banerjee, J.R. and Eslimy-Isfahany, S.H.R, (1998). Effects of shear deformation, rotatory inertia and axial force on the free vibration characteristics of composite beams. International Conference on Theoretical, Applied, Computational and Experimental Mechanics 1-5 December, Indian Institute of Technology, Kharagpur, India. Banerjee, J.R. and Eslimy-Isfahany, S.H.R., (1998). Effects of axial load on dynamic stresses in composite wings subjected to random excitation. Second Iranian Conference on Aerospace Engineering (sponsored by Iran Aircraft Manufacturing Industry) 12-14 October, Malek-Ashtar University of Technology, Shahinshahr, Isfahan, Iran. Banerjee, J.R., Patel, M., , Done, G.T.S, , Butler, R., and Lillico, M., (1998). Free vibration and flutter sensitivity analysis of a large transport aircraft. 7th AIAA/USAF/NASA/ISSMO Symposium on Multidisciplinary Analysis and Optimization 2-4 September, St. Louis, Missouri, U.S.A..
Eslimy-Isfahany, S.H.R. and Banerjee, J.R. (1998). Dynamic stresses in composite Timoshenko beams with application to aircraft wings. 39th AIAA/ASME/ASCE/AHS/ASC Structures, Structural Dynamics and Materials Conference 20-23 April, Long Beach, California, U.S.A.
Banerjee, J.R., Patel, M.H., Done, G.T.S., Butler, R. and Lillico, M. (1998). Free vibration and flutter sensitivity analyses of a large transport aircraft. Banerjee, J.R. and Georghiades, G.A., (1997). The importance of torsional and bending-torsion coupling rigidities on the aeroelastic behaviour of composite wings. International Forum on Aeroelasticity and Structural Dynamics 17-20 June, Rome, Italy. Eslimy-Isfahany, S.H.R. and Banerjee, J.R. (1997). Deterministic and random response of an axially loaded composite Timoshenko beam. 38th AIAA/ASME/ASCE/AHS/ASC Structures, Structural Dynamics and Materials Conference 7-10 April, Kissimmee, Florida, U.S.A.
Georghiades, G.A. and Banerjee, J.R. (1997). Flutter modes of composite wings exhibiting wash-in and wash-out. 38th AIAA/ASME/ASCE/AHS/ASC Structures, Structural Dynamics and Materials Conference 7-10 April, Kissimmee, Florida, U.S.A..
Banerjee, J.R. and Eslimy-Isfahany, S.H.R., (1997). Effects of shear deformation and rotatory inertia on the response of a composite aircraft wing to random atmospheric turbulence. First Iranian Conference on Aerospace Engineering 31 Dec 1996 – 1 Jan 1997, Amirkabir University of Technology, Tehran, Iran. Georghiades, G.A. and Banerjee, J.R. (1996). Parametric investigation into the flutter characteristics of composite wings. 37th AIAA/ASME/ASCE/AHS/ASC Structures, Structural Dynamics, and Materials Conference 10-15 April, Lake City, U.S.A.
Eslimy-Isfahany, S.H.R. and Banerjee, J.R. (1996). Response of composite beams to deterministic and random loads. 37th AIAA/ASME/ASCE/AHS/ASC Structures, Structural Dynamics 10-15 April, Salt Lake City, U.S.A.
Guo, S, , Cheung, C.W., , Banerjee, J.R. and Butler, R. (1995). Gust alleviation and flutter suppression of an optimized composite wing with active control. International Forum on Aeroelasticity and Structural Dynamics 26-28 June, Manchester, U.K.
Banerjee, J.R. (1995). Dynamic stiffness formulation for structural elements. 15th Canadian Congress of Applied Mechanics (CANCAM'95) 28 May 1995 – 2 Jun 1995, University of Victoria, Canada. Georghiades, G.A., Guo, S.J. and Banerjee, J.R. (1995). Flutter analysis of composite wings using an exact dynamic stiffness matrix method. 36th AIAA/ASME/ASCE/AHS/ASC Structures, Structural Dynamics and Materials Conference 10-13 April, New Orleans, U.S.A.
Butler, R., Lillico, M., Banerjee, J.R. and Guo, S. (1995). Optimum design of high aspect ratio wings subject to aeroelastic constraints. 36th AIAA/ASME/ASCE/AHS/ASC Structures, Structural Dynamics and Materials Conference 10-13 April, New Orleans, U.S.A.
Eslimy-Isfahany, S.H.R. and Banerjee, J.R. (1995). Response of an axially loaded bending-torsion coupled beam to deterministic and random loads. 36th AIAA/ASME/ASCE/AHS/ASC Structures, Structural Dynamics and Materials Conference 10-13 April, New Orleans, U.S.A.
Lillico, M., Butler, R., Banerjee, J.R. and Guo, S. (1994). Aeroelastic optimization of high aspect ratio wings using an exact dynamic stiffness matrix method. 5th AIAA/USAF/NASA/ISSMO Symposium on Multidisciplinary Analysis and Optimization 7-9 September, Panama City, Florida, U.S.A..
Banerjee, J.R. and Guo, S., (1994). An investigation into the effect of warping stiffness on the free vibration of beams using an exact dynamic stiffness matrix method. International Conference on Vibration Engineering (ICVE'94) 15-18 June, Beijing, China. Banerjee, J.R. and Butler, R. (1994). Coupled extensional-torsional vibration of composite beams - an exact method. 35th AIAA/ASME/ASCE/AHS/ASC Structures, Structural Dynamics and Materials Conference 18-20 April, Hilton Head, South Carolina, U.S.A..
Banerjee, J.R. (1993). Flutter sensitivity studies of high aspect ratio aircraft wings. Third International Conference on Computer Aided Optimum Design of Structures 7-9 July, Zaragoza, Spain. Cal, A.A., and Banerjee, J.R. (1991). Aeroelastic behaviour and response to turbulence of Cranfield aerobatic aircraft A1. International Forum on Aeroelasticity and Structural Dynamics 3-5 June, Eurogress Center, Aachen, Germany. Banerjee, J.R. and Cal, A.A, (1989). Effect of tailplane aerodynamics and fuselage flexibility on the flutter of high aspect ratio, low speed aircraft. European Forum on Aeroelasticity and Structural Dynamics 17-19 April, Eurogress Center, Aachen, Germany. Banerjee, J.R. and Cal, A.A., (1988). A unified approach to stability characteristics of tailless aircraft. 29th AIAA/ASME/AHS/ASC Structures, Structural Dynamics and Materials Conference 18-22 April, Williamsburg, Virginia, U.S.A..
Banerjee, J.R. (1987). Effects of axial force on the flutter of high aspect ratio aerofoil blades. 13th European Rotorcraft Forum 8-11 September, Arles, France. Banerjee, J.R. (1987). Torsional rigidity of a racing car frame. International Conference on Computer Aided Design, Manufacture and Operation in the Automotive Industries (COMPAUTO 87) 10-12 March, Geneva, Switzerland. Banerjee, J.R. (1984). Use and capability of CALFUN -a program for CALculation of Flutter speed Using Normal modes. International 1984 Athens Summer Conference on Modelling and Simulation 27-29 June, Athens, Greece. Ramabhat, B, , Banerjee, J.R. and Ramadasa, K. (1973). Stress waves in an elastic rocket subjected to pulse loading. Symposium on Stress Waves in Solids 1-2 November, New Delhi, India. Banerjee, J.R., Rao, J.S, and Bhattacharya, B., (1972). Determination of crank-pin forces and torques in the ZDM2 diesel loco engine. The Sixteenth Congress of the Indian Society of Theoretical and Applied Mechanics 29 Mar 1972 – 1 Apr 1972, Allahabad, India. Bhattacharya, B., , Rao, J.S., and Banerjee, J.R. (1972). Natural frequencies and mode shapes in flexural vibration of the ZDM2 diesel loco engine crankshaft. The Sixteenth Congress of the Indian Society of Theoretical and Applied Mechanics 29 Mar 1972 – 1 Apr 1972, Allahabad, India. Rao, J.S, , Bhattacharya, B, and Banerjee, J.R. (1972). Natural frequencies and mode shapes in torsional vibration of the ZDM2 diesel loco engine drive. The Sixteenth Congress of the Indian Society of Theoretical and Applied Mechanics 29 Mar 1972 – 1 Apr 1972, Allahabad, India. Banerjee, J.R. and Ananthapuvirajah, A. (2019). Coupled axial-bending dynamic stiffness matrix for beam elements. Computers and Structures, 215, pp. 1–9. doi:10.1016/j.compstruc.2019.01.007 . Banerjee, J.R. (2019). Dewey Hodges’s Research in Structural Dynamics, Aeroelasticity, and Composites: A Personal Perspective. AIAA Journal pp. 1–5. doi:10.2514/1.j057495 . Banerjee, J.R. and Ananthapuvirajah, A. (2019). An exact dynamic stiffness matrix for a beam incorporating Rayleigh–Love and Timoshenko theories. International Journal of Mechanical Sciences, 150, pp. 337–347. doi:10.1016/j.ijmecsci.2018.10.012 . Su, H. and Banerjee, R. (2018). The modal characteristics of high aspect ratio sailplane wings including the effects of bending and torsional rigidities. Journal of Physics: Conference Series, 1048, pp. 12010–12010. doi:10.1088/1742-6596/1048/1/012010 . Banerjee, J.R. and Ananthapuvirajah, A. (2018). Free vibration of functionally graded beams and frameworks using the dynamic stiffness method. Journal of Sound and Vibration, 422, pp. 34–47. doi:10.1016/j.jsv.2018.02.010 . Liu, X. and Banerjee, J.R. (2017). A spectral dynamic stiffness method for free vibration analysis of plane elastodynamic problems. Mechanical Systems and Signal Processing, 87, pp. 136–160. doi:10.1016/j.ymssp.2016.10.017 . Kennedy, D., Ilanko, S., Banerjee, J.R., António, C.C., Castro, C.F., Sextos, A.G. … Topping, B.H.V. (2016). Editorial. Computers and Structures, 174, pp. 1–2. doi:10.1016/j.compstruc.2016.07.010 . Kennedy, D., Ilanko, S., Banerjee, J.R., Antonio, C.C., Castro, C.F., Sextos, A.G. … Topping, B.H.V. (2016). SPECIAL ISSUE: CIVIL-COMP. COMPUTERS & STRUCTURES, 174, pp. 1–2. doi:10.1016/j.compstruc.2016.07.010 . Carrera, E., Pagani, A. and Banerjee, J.R. (2016). Linearized buckling analysis of isotropic and composite beam-columns by Carrera Unified Formulation and dynamic stiffness method. Mechanics of Advanced Materials and Structures, 23(9), pp. 1092–1103. doi:10.1080/15376494.2015.1121524 . Banerjee, J.R. (2016). Modal analysis of sailplane and transport aircraft wings using the dynamic stiffness method. Journal of Physics: Conference Series, 721(1). doi:10.1088/1742-6596/721/1/012005 . Liu, X., Kassem, H.I. and Banerjee, J.R. (2016). An exact spectral dynamic stiffness theory for composite plate-like structures with arbitrary non-uniform elastic supports, mass attachments and coupling constraints. Composite Structures, 142, pp. 140–154. doi:10.1016/j.compstruct.2016.01.074 . Kassem, H.I., Liu, X. and Banerjee, J.R. (2016). Transonic flutter analysis using a fully coupled density based solver for inviscid flow. Advances in Engineering Software, 95, pp. 1–6. doi:10.1016/j.advengsoft.2016.01.012 . Liu, X. and Banerjee, J.R. (2016). Free vibration analysis for plates with arbitrary boundary conditions using a novel spectral-dynamic stiffness method. Computers and Structures, 164, pp. 108–126. doi:10.1016/j.compstruc.2015.11.005 . Liu, X. and Banerjee, J.R. (2015). An exact spectral-dynamic stiffness method for free flexural vibration analysis of orthotropic composite plate assemblies - Part II: Applications. Composite Structures, 132, pp. 1288–1302. doi:10.1016/j.compstruct.2015.07.022 . Liu, X. and Banerjee, J.R. (2015). An exact spectral-dynamic stiffness method for free flexural vibration analysis of orthotropic composite plate assemblies - Part I: Theory. Composite Structures, 132, pp. 1274–1287. doi:10.1016/j.compstruct.2015.07.020 . Banerjee, J.R., Papkov, S.O., Liu, X. and Kennedy, D. (2015). Dynamic stiffness matrix of a rectangular plate for the general case. JOURNAL OF SOUND AND VIBRATION, 342, pp. 177–199. doi:10.1016/j.jsv.2014.12.031 . Su, H. and Banerjee, J.R. (2015). Development of dynamic stiffness method for free vibration of functionally graded Timoshenko beams. Computers and Structures, 147, pp. 107–116. doi:10.1016/j.compstruc.2014.10.001 . Papkov, S.O. and Banerjee, J.R. (2015). A new method for free vibration and buckling analysis of rectangular orthotropic plates. Journal of Sound and Vibration, 339, pp. 342–358. doi:10.1016/j.jsv.2014.11.007 . Pagani, A., Carrera, E., Banerjee, J.R., Cabral, P.H., Caprio, G. and Prado, A. (2014). Free vibration analysis of composite plates by higher-order 1D dynamic stiffness elements and experiments. Composite Structures, 118, pp. 654–663. doi:10.1016/j.compstruct.2014.08.020 . Pagani, A., Carrera, E., Boscolo, M. and Banerjee, J.R. (2014). Refined dynamic stiffness elements applied to free vibration analysis of generally laminated composite beams with arbitrary boundary conditions. Composite Structures, 110, pp. 305–316. doi:10.1016/j.compstruct.2013.12.010 . Kang, S.E., Banerjee, J.R., Tuling, A.S. and Mintz, B. (2014). Influence of B on hot ductility of high Al, TWIP steels. Materials Science and Technology (United Kingdom), 30(4), pp. 486–494. doi:10.1179/1743284713Y.0000000399 . Boscolo, M. and Banerjee, J.R. (2014). Layer-wise dynamic stiffness solution for free vibration analysis of laminated composite plates. Journal of Sound and Vibration, 333(1), pp. 200–227. doi:10.1016/j.jsv.2013.08.031 . Fazzolari, F.A. and Banerjee, J.R. (2014). Axiomatic/Asymptotic PVD/RMVT-based shell theories for free vibrations of anisotropic shells using an advanced Ritz formulation and accurate curvature descriptions. Composite Structures, 108, pp. 91–110. Kang, S.E., Banerjee, J.R., Tuling, A. and Mintz, B. (2014). Influence of P and N on hot ductility of high Al, boron containing TWIP steels. Materials Science and Technology (United Kingdom), 30(11), pp. 1328–1335. doi:10.1179/1743284714Y.0000000576 . Banerjee, J.R. and Kennedy, D. (2014). Dynamic stiffness method for inplane free vibration of rotating beams including Coriolis effects. Journal of Sound and Vibration, 333(26), pp. 7299–7312. doi:10.1016/j.jsv.2014.08.019 . Pagani, A., Carrera, E., Banerjee, J.R., Cabral, P.H., Caprio, G. and Prado, A. (2014). Free Vibration Analysis of Composite Plates by Higher Order 1D Dynamic Stiffness Elements and Experiments. Composite Structures, 118, pp. 654–663. Banerjee, J.R., Liu, X. and Kassem, H.I. (2014). Aeroelastic stability analysis of high aspect ratio aircraft wings. Journal of Applied Nonlinear Dynamics, 3(4), pp. 413–422. doi:10.5890/JAND.2014.12.012 . Su, H., Banerjee, J.R. and Cheung, C.W. (2013). Dynamic stiffness formulation and free vibration analysis of functionally graded beams. Composite Structures, 106, pp. 854–862. doi:10.1016/j.compstruct.2013.06.029 . Fazzolari, F.A., Banerjee, J.R. and Boscolo, M. (2013). Buckling of composite plate assemblies using higher order shear deformation theory—An exact method of solution. Thin-Walled Structures, 71, pp. 18–34. doi:10.1016/j.tws.2013.04.017 . Kang, S.E., Banerjee, J.R., Maina, E.M. and Mintz, B. (2013). Influence of B and Ti on hot ductility of high Al and high Al, Nb containing TWIP steels. Materials Science and Technology (United Kingdom), 29(10), pp. 1225–1232. doi:10.1179/1743284713Y.0000000259 . Banerjee, J.R. and Jackson, D.R. (2013). Free vibration of a rotating tapered Rayleigh beam: A dynamic stiffness method of solution. Computers & Structures, 124, pp. 11–20. doi:10.1016/j.compstruc.2012.11.010 . Fazzolari, F.A., Boscolo, M. and Banerjee, J.R. (2013). An exact dynamic stiffness element using a higher order shear deformation theory for free vibration analysis of composite plate assemblies. Composite Structures, 96, pp. 262–278. doi:10.1016/j.compstruct.2012.08.033 . Pagani, A., Boscolo, M., Banerjee, J.R. and Carrera, E. (2013). Exact dynamic stiffness elements based on one-dimensional higher-order theories for free vibration analysis of solid and thin-walled structures. Journal of Sound and Vibration. Banerjee, J.R. (2012). Free vibration of beams carrying spring-mass systems - A dynamic stiffness approach. Computers and Structures, 104-105, pp. 21–26. doi:10.1016/j.compstruc.2012.02.020 . Kang, S.E., Banerjee, J.R. and Mintz, B. (2012). Influence of S and AlN on hot ductility of high Al, TWIP steels. Materials Science and Technology, 28(5), pp. 589–596. doi:10.1179/1743284711Y.0000000109 . Boscolo, M. and Banerjee, J.R. (2012). Dynamic stiffness formulation for composite Mindlin plates for exact modal analysis of structures. Part II: Results and applications. COMPUTERS & STRUCTURES, 96-97, pp. 74–83. doi:10.1016/j.compstruc.2012.01.003 . Boscolo, M. and Banerjee, J.R. (2012). Dynamic stiffness formulation for composite Mindlin plates for exact modal analysis of structures. Part I: Theory. COMPUTERS & STRUCTURES, 96-97, pp. 61–73. doi:10.1016/j.compstruc.2012.01.002 . Maina, E., Crowther, D.N., Banerjee, J.R. and Mintz, B. (2012). Influence of directionality on strength and impact behaviour of high strength steels. MATERIALS SCIENCE AND TECHNOLOGY, 28(4), pp. 390–396. doi:10.1179/1743284711Y.0000000061 . Boscolo, M. and Banerjee, J.R. (2011). Dynamic stiffness method for exact inplane free vibration analysis of plates and plate assemblies. Journal of Sound and Vibration, 330(12), pp. 2928–2936. doi:10.1016/j.jsv.2010.12.022 . Kang, S.E., Tuling, A., Lau, I., Banerjee, J.R. and Mintz, B. (2011). The hot ductility of Nb/V containing high Al, TWIP steels. Materials Science and Technology, 27(5), pp. 909–915. doi:10.1179/026708309x12595712305915 . Mintz, B., Banerjee, J.R. and Banks, K.M. (2011). Regression equation forAr3temperature for coarse grained as cast steels. Ironmaking & Steelmaking, 38(3), pp. 197–203. doi:10.1179/030192310x12827375731429 . Boscolo, M. and Banerjee, J.R. (2011). Dynamic stiffness elements and their applications for plates using first order shear deformation theory. Computers & Structures, 89(3-4), pp. 395–410. doi:10.1016/j.compstruc.2010.11.005 . Kang, S.E., Tuling, A., Banerjee, J.R., Gunawardana, W.D. and Mintz, B. (2011). Hot ductility of TWIP steels. Materials Science and Technology, 27(1), pp. 95–100. doi:10.1179/026708309x12506933873387 . Tuling, A., Banerjee, J.R. and Mintz, B. (2011). Influence of peritectic phase transformation on hot ductility of high aluminium TRIP steels. Materials Science and Technology, 27(11), pp. 1724–1731. Mintz, B. and Banerjee, J.R. (2010). Influence of C and Mn on hot ductility behaviour of steel and its relationship to transverse cracking in continuous casting. Materials Science and Technology, 12(5), pp. 547–551. Banerjee, J.R. (2010). Free vibration of beams carrying spring-mass systems: A dynamic stiffness approach. Civil-Comp Proceedings, 93. Banerjee, J.R., Sobey, A.J., Su, H. and Fitch, J.P. (2008). Use of computer algebra in Hamiltonian calculations. ADVANCES IN ENGINEERING SOFTWARE, 39(6), pp. 521–525. doi:10.1016/advengsoft.2007.03.013 . Banerjee, J.R., Su, H. and Jayatunga, C. (2008). A dynamic stiffness element for free vibration analysis of composite beams and its application to aircraft wings. Computers & Structures, 86(6), pp. 573–579. doi:10.1016/j.compstruc.2007.04.027 . Banerjee, J.R., Cheung, C.W., Morishima, R., Perera, M. and Njuguna, J. (2007). Free vibration of a three-layered sandwich beam using the dynamic stiffness method and experiment. International Journal of Solids and Structures, 44(22-23), pp. 7543–7563. doi:10.1016/j.ijsolstr.2007.04.024 . Banerjee, J.R. and Gunawardana, W.D. (2007). Dynamic stiffness matrix development and free vibration analysis of a moving beam. Journal of Sound and Vibration, 303(1-2), pp. 135–143. doi:10.1016/j.jsv.2006.12.020 . Leszczyńska, A., Njuguna, J., Pielichowski, K. and Banerjee, J.R. (2007). Polymer/montmorillonite nanocomposites with improved thermal properties. Thermochimica Acta, 453(2), pp. 75–96. doi:10.1016/j.tca.2006.11.002 . Leszczyńska, A., Njuguna, J., Pielichowski, K. and Banerjee, J.R. (2007). Polymer/montmorillonite nanocomposites with improved thermal properties. Part II. Thermal stability of montmorillonite nanocomposites based on different polymeric matrixes. Thermochimica Acta, 454(1), pp. 1–22. Banerjee, J.R., Su, H. and Jackson, D.R. (2006). Free vibration of rotating tapered beams using the dynamic stiffness method. Journal of Sound and Vibration, 298(4-5), pp. 1034–1054. doi:10.1016/j.jsv.2006.06.040 . Banerjee, J.R. and Su, H. (2006). Dynamic stiffness formulation and free vibration analysis of a spinning composite beam. Computers & Structures, 84(19-20), pp. 1208–1214. doi:10.1016/j.compstruc.2006.01.023 . Banerjee, J.R. and Su, H. (2006). Free Transverse and Lateral Vibration of Beams with Torsional Coupling. Journal of Aerospace Engineering, 19(1), pp. 13–20. doi:10.1061/(asce)0893-1321(2006)19:1(13) . Banerjee, J.R., Su, H., Sobey, A.J. and Fitch, J. (2005). Strain analysis of a pretwisted elastic cylinder with an arbitrary cross-section. Journal of Strain Analysis for Engineering Design, 40(4), pp. 367–374. doi:10.1243/030932405X15981 . Su, H. and Banerjee, J.R. (2005). Exact natural frequencies of structures consisting of two-part beam-mass systems. Structural Engineering and Mechanics, 19(5), pp. 551–566. doi:10.12989/sem.2005.19.5.551 . Banerjee, J.R. and Sobey, A.J. (2005). Dynamic stiffness formulation and free vibration analysis of a three-layered sandwich beam. International Journal of Solids and Structures, 82(8), pp. 2181–2197. Banerjee, J.R. and Su, H. (2004). Development of a dynamic stiffness matrix for free vibration analysis of spinning beams. Computers & Structures, 82(23-26), pp. 2189–2197. doi:10.1016/j.compstruc.2004.03.058 . Banerjee, J.R. (2004). Comments on "A dynamical basis for computing the modes of Euler-Bernoulli and Timoshenko beams". JOURNAL OF SOUND AND VIBRATION, 275(1-2), pp. 459–460. doi:10.1016/j.jsv.2003.10.023 . Banerjee, J.R. (2004). Development of an exact dynamic stiffness matrix for free vibration analysis of a twisted Timoshenko beam. Journal of Sound and Vibration, 270(1-2), pp. 379–401. doi:10.1016/S0022-460X(03)00633-3 . Banerjee, J.R. and Su, H. (2003). Dynamic stiffness formulation for beams undergoing free transverse and lateral vibration with torsional coupling. 44th AIAA/ASME/ASCE/AHS/ASC Structures, Structural Dynamics, and Materials Conference. Banerjee, J.R. and Sobey, A.J. (2003). Further investigation into eigenfrequencies of a two-part beam–mass system. Journal of Sound and Vibration, 265(4), pp. 899–908. doi:10.1016/s0022-460x(02)01621-8 . Banerjee, J.R. (2003). Free vibration of sandwich beams using the dynamic stiffness method. Computers & Structures, 81(18-19), pp. 1915–1922. doi:10.1016/s0045-7949(03)00211-6 . Banerjee, J.R. (2003). A simplified method for the free vibration and flutter analysis of bridge decks. Journal of Sound and Vibration, 260(5), pp. 829–845. doi:10.1016/s0022-460x(02)00929-x . Banerjee, J.R. (2003). Dynamic Stiffness Formulation and Its Application for a Combined Beam and a Two Degree-of-Freedom System. Journal of Vibration and Acoustics, 125(3), pp. 351–351. doi:10.1115/1.1569943 . Banerjee, J.R., Guo, S, and Cheung, C.W.C., (2003). Effect of laminate lay-up on the aeroelastic behaviour of composite wings. Proceedings of the Institution of Mechanical Engineers, Part G, Journal of Aerospace Engineering, 217, pp. 115–122. BANERJEE, J.R. and SOBEY, A.J. (2002). ENERGY EXPRESSIONS FOR ROTATING TAPERED TIMOSHENKO BEAMS. Journal of Sound and Vibration, 254(4), pp. 818–822. doi:10.1006/jsvi.2002.4103 . Banerjee, J.R. (2002). Modal analysis of axially loaded composite Timoshenko beams using symbolic computation. Journal of Aircraft, 39(5), pp. 909–912. BANERJEE, J.R. (2001). DYNAMIC STIFFNESS FORMULATION AND FREE VIBRATION ANALYSIS OF CENTRIFUGALLY STIFFENED TIMOSHENKO BEAMS. Journal of Sound and Vibration, 247(1), pp. 97–115. doi:10.1006/jsvi.2001.3716 . Banerjee, J.R. (2001). Free vibration analysis of a twisted beam using the dynamic stiffness method. International Journal of Solids and Structures, 38(38-39), pp. 6703–6722. doi:10.1016/s0020-7683(01)00119-6 . Banerjee, J.R. (2001). Explicit analytical expressions for frequency equation and mode shapes of composite beams. International Journal of Solids and Structures, 38(14), pp. 2415–2426. doi:10.1016/s0020-7683(00)00100-1 . Banerjee, J.R. (2001). Frequency equation and mode shape formulae for composite Timoshenko beams. Composite Structures, 51(4), pp. 381–388. doi:10.1016/s0263-8223(00)00153-7 . Eslimy-Isfahany, S.H.R. and Banerjee, J.R. (2000). Use of generalized mass in the interpretation of dynamic response of bending-torsion coupled beams. JOURNAL OF SOUND AND VIBRATION, 238(2), pp. 295–308. doi:10.1006/jsvi.2000.3160 . Evrard, T., Butler, R., Hughes, S.W. and Banerjee, J.R. (2000). Ply Angle Optimization of Nonuniform Composite Beams Subject to Aeroelastic Constraints. AIAA Journal, 38(10), pp. 1992–1994. doi:10.2514/2.858 . BANERJEE, J.R. (2000). FREE VIBRATION OF CENTRIFUGALLY STIFFENED UNIFORM AND TAPERED BEAMS USING THE DYNAMIC STIFFNESS METHOD. Journal of Sound and Vibration, 233(5), pp. 857–875. doi:10.1006/jsvi.1999.2855 . Banerjee, J.R. (2000). Exact modal analysis of an idealised whole aircraft using symbolic computation. AERONAUTICAL JOURNAL, 104(1035), pp. 247–255. Banerjee, J.R. (2000). Explicit Modal Analysis of an Axially Loaded Timoshenko Beam With Bending-Torsion Coupling. Journal of Applied Mechanics, 67(2), pp. 307–307. doi:10.1115/1.1303984 . Butler, R., Lillico, M., Banerjee, J.R., Patel, M.H. and Done, G.T.S. (1999). Sequential use of conceptual MDO and panel sizing methods for aircraft wing design. The Aeronautical Journal, 103(1026), pp. 389–397. doi:10.1017/s0001924000064617 . Banerjee, J.R. (1999). Explicit frequency equation and mode shapes of a cantilever beam coupled in bending and torsion. JOURNAL OF SOUND AND VIBRATION, 224(2), pp. 267–281. doi:10.1006/jsvi.1999.2194 . Banerjee, J.R. (1998). Free vibration of axially loaded composite Timoshenko beams using the dynamic stiffness matrix method. Computers & Structures, 69(2), pp. 197–208. doi:10.1016/s0045-7949(98)00114-x . Georghiades, G.A. and Banerjee, J.R. (1998). Significance of wash-out on the flutter characteristics of composite wings. JOURNAL OF AIRCRAFT, 35(5), pp. 823–825. doi:10.2514/2.7582 . Georghiades, G.A. and Banerjee, J.R. (1998). Role of Modal Interchange on the Flutter of Laminated Composite Wings. Journal of Aircraft, 35(1), pp. 157–161. doi:10.2514/2.2276 . R. Eslimy-Isfahany, S.H. and Banerjee, J.R. (1997). Dynamic Response of Composite Beams with Application to Aircraft Wings. Journal of Aircraft, 34(6), pp. 785–791. doi:10.2514/2.2244 . Banerjee, J.R. (1997). Dynamic stiffness formulation for structural elements: A general approach. Computers & Structures, 63(1), pp. 101–103. doi:10.1016/s0045-7949(96)00326-4 . Lillico, M., Butler, R., Guo, S. and Banerjee, J.R. (1997). Aeroelastic optimisation of composite wings using the dynamic stiffness method. AERONAUTICAL JOURNAL, 101(1002), pp. 77–86. Georghiades, G.A. and Banerjee, J.R. (1997). Flutter prediction for composite wings using parametric studies. AIAA Journal, 35(4), pp. 746–748. doi:10.2514/2.170 . Georghiades, G.A., Guo, S.J. and Banerjee, J.R. (1996). Flutter characteristics of laminated composite wings. Journal of Aircraft, 33(6), pp. 1204–1206. doi:10.2514/3.47078 . Eslimy-Isfahany, S.H.R., Banerjee, J.R. and Sobey, A.J. (1996). RESPONSE OF A BENDING–TORSION COUPLED BEAM TO DETERMINISTIC AND RANDOM LOADS. Journal of Sound and Vibration, 195(2), pp. 267–283. doi:10.1006/jsvi.1996.0421 . Bannerjee, J.R. and Williams, F.W. (1996). EXACT DYNAMIC STIFFNESS MATRIX FOR COMPOSITE TIMOSHENKO BEAMS WITH APPLICATIONS. Journal of Sound and Vibration, 194(4), pp. 573–585. doi:10.1006/jsvi.1996.0378 . Butler, R. and Banerjee, J.R. (1996). Optimum design of bending-torsion coupled beams with frequency or aeroelastic constraints. Computers & Structures, 60(5), pp. 715–724. doi:10.1016/0045-7949(95)00451-3 . Banerjee, J.R., Guo, S. and Howson, W.P. (1996). Exact dynamic stiffness matrix of a bending-torsion coupled beam including warping. Computers & Structures, 59(4), pp. 613–621. doi:10.1016/0045-7949(95)00307-x . Eslimy-Isfahany, S.H.R. and Banerjee, J.R. (1996). Dynamic response of an axially loaded bending-torsion coupled beam. Journal of Aircraft, 33(3), pp. 601–607. doi:10.2514/3.46988 . BANERJEE, J.R. and WILLIAMS, F.W. (1995). FREE-VIBRATION OF COMPOSITE BEAMS - AN EXACT METHOD USING SYMBOLIC COMPUTATION. JOURNAL OF AIRCRAFT, 32(3), pp. 636–642. doi:10.2514/3.46767 . Banerjee, J.R. and Williams, F.W. (1994). Clamped-clamped Natural Frequencies Of A Bending-torsion Coupled Beam. Journal of Sound and Vibration, 176(3), pp. 301–306. doi:10.1006/jsvi.1994.1378 . Banerjee, J.R. and Williams, F.W. (1994). The Effect Of Shear Deformation On The Critical Buckling Of Columns. Journal of Sound and Vibration, 174(5), pp. 607–616. doi:10.1006/jsvi.1994.1297 . Banerjee, J.R. and Williams, F.W. (1994). Coupled bending-torsional dynamic stiffness matrix of an axially loaded timoshenko beam element. International Journal of Solids and Structures, 31(6), pp. 749–762. doi:10.1016/0020-7683(94)90075-2 . Banerjee, J.R. and Williams, F.W. (1994). An exact dynamic stiffness matrix for coupled extensional-torsional vibration of structural members. Computers & Structures, 50(2), pp. 161–166. doi:10.1016/0045-7949(94)90292-5 . Williams, F.W., Howson, W.P. and Banerjee, J.R. (1993). Natural Frequencies of Members With Coupled Extensional-Torsional Motion: a Physical Approach. Journal of Sound and Vibration, 165(2), pp. 373–375. doi:10.1006/jsvi.1993.1264 . Banerjee, J.R. and Fisher, S.A. (1992). Coupled bending-torsional dynamic stiffness matrix for axially loaded beam elements. International Journal for Numerical Methods in Engineering, 33(4), pp. 739–751. doi:10.1002/nme.1620330405 . Banerjee, J.R. and Williams, F.W. (1992). Coupled bending-torsional dynamic stiffness matrix for timoshenko beam elements. Computers & Structures, 42(3), pp. 301–310. doi:10.1016/0045-7949(92)90026-v .
Banerjee, J.R. (1991). A FORTRAN routine for computation of coupled bending-torsional dynamic stiffness matrix of beam elements. Advances in Engineering Software and Workstations, 13(1), pp. 17–24. doi:10.1016/0961-3552(91)90041-2 . Banerjee, J.R. (1989). Coupled bending–torsional dynamic stiffness matrix for beam elements. International Journal for Numerical Methods in Engineering, 28(6), pp. 1283–1298. doi:10.1002/nme.1620280605 . Banerjee, J.R. (1988). Flutter modes of high aspect ratio tailless aircraft. Journal of Aircraft, 25(5), pp. 473–476. doi:10.2514/3.45607 . Banerjee, J.R. (1987). Compact computation of buckling loads for plane frames consisting of tapered members. Advances in Engineering Software (1978), 9(3), pp. 162–170. doi:10.1016/0141-1195(87)90006-4 . Banerjee, J.R. and Williams, F.W. (1986). Exact Bernoulli-Euler static stiffness matrix for a range of tapered beam-columns. International Journal for Numerical Methods in Engineering, 23(9), pp. 1615–1628. doi:10.1002/nme.1620230904 . Banerjee, J.R., Anderson, M.S., , Williams, F.W., , Durling, B.J., , Herstorm, C.L., , Kennedy, D, … Warnaar, D.B., (1986). User manual for BUNVIS-RG: An exact buckling and vibration program for lattice structures, with repetitive geometry and substructuring options. NASA Technical Memorandum 87669. Banerjee, J.R. and Williams, F.W. (1985). Exact Bernoulli-Euler dynamic stiffness matrix for a range of tapered beams. International Journal for Numerical Methods in Engineering, 21(12), pp. 2289–2302. doi:10.1002/nme.1620211212 . Banerjee, J.R. and Williams, F.W. (1985). Further flexural vibration curves for axially loaded beams with linear or parabolic taper. Journal of Sound and Vibration, 102(3), pp. 315–327. doi:10.1016/s0022-460x(85)80145-0 . Williams, F.W. and Banerjee, J.R. (1985). Flexural vibration of axially loaded beams with linear or parabolic taper. Journal of Sound and Vibration, 99(1), pp. 121–138. doi:10.1016/0022-460X(85)90449-3 . Banerjee, J.R. and Kennedy, D, (1985). Response of an axially loaded Timoshenko beam to random loads. Journal of Sound and Vibration, 101(4), pp. 481–487. BANERJEE, J.R. (1984). Flutter characteristics of high aspect ratio tailless aircraft. Journal of Aircraft, 21(9), pp. 733–736. doi:10.2514/3.45022 . Banerjee, J.R. and Williams, F.W. (1984). Evaluation of efficiently computed exact vibration characteristics of space platforms assembled from stayed columns. Journal of Sound and Vibration, 95(3), pp. 405–414. doi:10.1016/0022-460x(84)90679-5 . Williams, F.W. and Banerjee, J.R. (1984). Accurately computed modal densities for panels and cylinders, including corrugations and stiffeners. Journal of Sound and Vibration, 93(4), pp. 481–488. doi:10.1016/0022-460x(84)90417-6 . Banerjee, J.R. and Williams, F.W. (1983). Vibration characteristics of self-expanding stayed columns for use in space. Journal of Sound and Vibration, 90(2), pp. 245–261. doi:10.1016/0022-460X(83)90532-1 . Howson, W.P., Banerjee, J.R. and Williams, F.W. (1983). Concise equations and program for exact eigensolutions of plane frames including member shear. Advances in Engineering Software (1978), 5(3), pp. 137–141. doi:10.1016/0141-1195(83)90108-0 . Williams, F.W., Banerjee, J.R., Harris, S.R. and Hughes, M.W.N. (1983). Refined design of self-expanding stayed column for use in space. Computers and Structures, 16(1-4), pp. 353–360. doi:10.1016/0045-7949(83)90174-8 . Banerjee, J.R. and Williams, F.W, (1981). Natural frequencies of structures for designers. The Structural Engineers, 59A(3), pp. 109–111. Kulkarni, A.M., Banerjee, J.R. and Sinha, P.K. (1975). Response of randomly excited orthotropic sandwich plates. Journal of Sound and Vibration, 41(2), pp. 197–205. doi:10.1016/S0022-460X(75)80097-6 . Anderson, M.S., Williams, F.W., Banerjee, J.R., Durling, B.J., Herstorm, C.L., Kennedy, D. … Warnaar, D.B. BUNVIS-RG: An exact buckling and vibration program for lattice structures, with repetitive geometry and substructuring options. NASA Technical Memorandum 87669, 1986..
Banerjee, J.R. CALFUN (CALculation of Flutter speed Using Normal modes).. Member of the Editorial Board, Journal of Sound and Vibration. Associate Editor, International Journal of Aeronautical and Space Sciences. Member of the Editorial Board, Advances in Aircraft and Spacecraft Science. 12th Conference on Dynamical Systems- Theory and application, December 2-5, 2013, Lodz, Poland. Lodz, Poland (2013). Eleventh International Conference on Vibration Problems (ICOVP), Lisbon, Portugal, 9-12 September, 2013. Lisbon, Portugal (2013). Description: Presented a paper on the subject. Fourteenth International Conference on Civil, Structural and Environmental Engineering, 3-6 September 2013, Cagliari, Sardinia, Italy. Cagliari, Sardinia, Italy (2013). Description: Presented a paper on the subjject. International Symposium on Vibrations of Continuous Systems, Courmayeur, Italy, 21-26 July, 2013. Courmayeur, Italy (2013). 17th International Conference on Composite Structures, University of Porto, Porto, Portugal, 17-21 June, 2013. Porto, Portugal (2013). Description: Paper presented on the subject. 54th AIAA/ASME/ASCE/AHS/ASC Structures, Structural Dynamics and Materials Conference, Boston, Massachusetts, USA, 8-11 April, 2013. Boston, Massachusetts, USA (2013). Description: Paper presented on the subject (Paper No: AIAA-2013-1950). European Congress on Computational Methods in Applied Sciences and Engineering (ECCOMAS 2012), , 10-14 September, 2012, Vienna, Austria. Vienna, Austria (2012). Description: Paper presented in the conference (Paper No: 4156). Eleventh International Conference on Computational Structures Technology, , 4-7 September, 2012, Dubrovnik, Croatia. Dubrovnik, Croatia (2012). Description: Paper presented on the subject (Paper No: 102). International Conference on Mechanics of Nano, Micro and Macro Composite Structures, Polytechnic of Turin, Turin, Italy, 18-20 June, 2012. Polytechnic of Turin, Turin, Italy (2012). 53rd AIAA/ASME/ASCE/AHS/ASC Structures, Structural Dynamics and Materials Conference, Honolulu, Hawaii, USA, 23-26 April, 2012. Honolulu, Hawaii, USA (2012). Thirteenth International Conference on Civil, Structural and Environmental Engineering Computing, Chania, Crete, Greece, 6-9 September, 2011. Chania, Crete, Greece (2011). 8th International Symposium on Vibration of Continuous System, Whistler, British Columbia, Canada, July 18-22, 2011. Whistler, British Columbia, Canada (2011). Sixth MIT Conference on Computational Fluid and Solid Mechanics, Massachusetts Institute of Technology, Cambridge, USA, June 15-17, 2011. Cambridge, USA (2011). 2nd International Conference on Super High Strength Steels, Associazione Italiana Di Metallurgia, Peschiera del Garda, Italy, 17-20 October 2010. Peschiera del Garda, Italy (2010). 51st AIAA/ASME/ASCE/AHS/ASC Structures, Structural Dynamics and Materials Conference, Orlando, Florida, USA, April 12-15, 2010. Orlando, Florida, USA (2010). Description: Paper presented on the subject (Paper No: AIAA-2010-3033). 50th AIAA/ASME/ASCE/AHS/ASC Structures, Structural Dynamics and Materials Conference, May 4-7, 2009. Palm Springs, California, USA (2009). International Conference on Advanced Materials for Acoustics and Vibration, The British University in Egypt, Cairo, Egypt, 4-6 January, 2009. British University in Egypt, Cairo, Egypt (2009). 49th AIAA/ASME/ASCE/AHS/ASC Structures, Structural Dynamics and Materials Conference, April 7-10, 2008. Schaumburg, Illinois, USA (2008). Eleventh International Conference on Civil, Structural and Environmental Engineering, 18-21 September 2007. St. Julians, Malta (2007). 48th AIAA/ASME/ASCE/AHS/ASC Structures, Structural Dynamics and Materials Conference, April 23-26, 2007. Honolulu, Hawaii, USA (2007). Eighth International Conference on Computational Structures Technology, 12-15 September 2006. Las Palmas de Gran Canaria, Spain (2006). 47th AIAA/ASME/ASCE/AHS/ASC Structures, Structural Dynamics and Materials Conference, May 1-4, 2006. Newport, Rhode Island, USA (2006). Sixth International Conference on Structural Dynamics (EuroDyn-2005), 4-7 September 2005. Paris, France (2005). Tenth International Conference on Civil, Structural and Environmental Engineering Computing, 30 August-2 September 2005. Rome, Italy (2005). Seventh International Conference on Computational Structures Technology (CST-2004), 7-9 September, 2004. Lisbon, Portugal (2004). Second International Conference on Structural Engineering, Mechanics and Computation (SEMC-2004), 5-7 July 2004. Cape Town, South Africa (2004). Second International Conference on Advanced Polymer Composites for Structural Applications in Construction (ACIC 2004), University of Surrey, Guildford, UK, 20-22 April 2004. University of Surrey, Guildford, UK (2004). 45th AIAA/ASME/ASCE/AHS/ASC Structures, Structural Dynamics and Materials Conference, April 19-22, 2004. Palm Springs, California, USA (2004). Ninth International Conference on Civil and Structural Engineering Computing, 2-4 September 2003. Egmond-aan-Zee, The Netherlands (2003). Fifth International Conference on Stochastic Structural Dynamics, Hangzhou, China, August 11-13, 2003. Hangzhou, China (2003). 14th International Conference on Composite Materials (ICCM-14), , July 14-18, 2003. San Diego, California, USA (2003). 44th AIAA/ASME/ASCE/AHS/ASC Structures, Structural Dynamics and Materials Conference, April 7-10, 2003. Norfolk, Virginia, USA (2003). Sixth International Conference on Computational Structures Technology (CST2002), 4-6 September, 2002,. Prague, Czech Republic (2002). ACUN-4 Conference on "Composite Systems-Macrocomposites, Microcomposites, Nanocomposites", 21-25 July, 2002,. University of New South Wales, Sydney, Australia (2002). First International Conference on Fluid Structure Interaction, pp. 167-174,, 26-28 September, 2001. Halkidiki, Greece (2001). Eighth International Conference on Civil and Structural Engineering Computing (CC2001), 19-21 September, 2001. Eisenstadt, Vienna, Austria (2001). 42th AIAA/ASME/ASCE/AHS/ASC Structures, Structural Dynamics and Materials Conference, April 16-19, 2001. Seattle, Washington, USA (2001). 22nd Congress of the International Council of Aeronautical Sciences (ICAS), 28th August-1st September, 2000. Harrogate, UK (2000). Seventh Annual International Conference on Composite Engineering, pp 57-58, July 2-8, 2000. Denver, Colorado, USA (2000). 40th AIAA/ASME/ASCE/AHS/ASC Structures, Structural Dynamics and Materials Conference, April 12-15, 1999. St. Louis, Missouri, USA (1999). International Conference on Theoretical, Applied, Computational and Experimental Mechanics, Indian Institute of Technology, Kharagpur, India, December 1-5, 1998. Indian Institute of Technology, Kharagpur, India (1998). Second Iranian Conference on Aerospace Engineering (sponsored by Iran Aircraft Manufacturing Industry), Malek-Ashtar University of Technology, Shahinshahr, Isfahan, Iran, 12-14 October, 1998. Malek-Ashtar University of Technology, Shahinshahr, Isfahan, Iran (1998). 7th AIAA/USAF/NASA/ISSMO Symposium on Multidisciplinary Analysis and Optimization, St. Louis, Missouri, USA, September 2-4, 1998. St. Louis, Missouri, USA (1998). 39th AIAA/ASME/ASCE/AHS/ASC Structures, Structural Dynamics and Materials Conference, April 20-23, 1998. Long Beach, California, USA (1998). International Forum on Aeroelasticity and Structural Dynamics, Rome, Italy, 17-20 June, 1997. Rome, Italy (1997). 38th AIAA/ASME/ASCE/AHS/ASC Structures, Structural Dynamics and Materials Conference, Kissimmee, Florida, USA., April 7-10, 1997. Kissimmee, Florida, USA (1997). First Iranian Conference on Aerospace Engineering, Amirkabir University of Technology, Tehran, Iran, 31 December 1996-1 January 1997. Amirkabir University of Technology, Tehran, Iran (1996). 37th AIAA/ASME/ASCE/AHS/ASC Structures, Structural Dynamics, and Materials Conference, Salt Lake City, USA., April 10-15, 1996. Salt Lake City, USA (1996). International Forum on Aeroelasticity and Structural Dynamics, Manchester, UK, 26-28 June, 1995. Manchester, UK (1995). 15th Canadian Congress of Applied Mechanics (CANCAM'95), University of Victoria, Canada, May 28 - June 2, 1995. University of Victoria, Canada (1995). 36th AIAA/ASME/ASCE/AHS/ASC Structures, Structural Dynamics and Materials Conference, New Orleans, USA, April 10 - 13, 1995. New Orleans, USA (1995). 5th AIAA/USAF/NASA/ISSMO Symposium on Multidisciplinary Analysis and Optimization, Panama City, Florida, USA, September 7-9, 1994. Panama City, Florida, USA (1994). International Conference on Vibration Engineering (ICVE'94), Beijing, China, June 15-18, 1994. Beijing, China (1994). 35th AIAA/ASME/ASCE/AHS/ASC Structures, Structural Dynamics and Materials Conference, Hilton Head, South Carolina, USA., April 18-20, 1994. Hilton Head, South Carolina, USA (1994). Third International Conference on Computer Aided Optimum Design of Structures, Zaragoza, Spain, 7-9 July, 1993. Zaragoza, Spain (1993). International Forum on Aeroelasticity and Structural Dynamics, Eurogress Center, Aachen, Germany, June 3-5, 1991. Eurogress Center, Aachen, Germany (1991). European Forum on Aeroelasticity and Structural Dynamics, Eurogress Center, Aachen, Germany, April 17-19, 1989. Eurogress Center, Aachen, Germany (1989). 29th AIAA/ASME/AHS/ASC Structures, Structural Dynamics and Materials Conference, Williamsburg, Virginia, USA, April 18-22, 1988. Williamsburg, Virginia, USA (1988). 13th European Rotorcraft Forum, Arles, France, September 8-11, 1987. Arles, France (1987). International Conference on Computer Aided Design, Manufacture and Operation in the Automotive Industries (COMPAUTO 87), Geneva, Switzerland, March 10-12, 1987. Geneva, Switzerland (1987). International 1984 Athens Summer Conference on Modelling and Simulation, Athens, Greece, June 27-29, 1984. Athens, Greece (1984). Symposium on Stress Waves in Solids, New Delhi, India, November 1-2, 1973. New Delhi, India (1973). Sixteenth Congress of the Indian Society of Theoretical and Applied Mechanics, Allahabad, India, 29th March-1st April, 1972. Allahabad, India (1972). Bending-torsion coupled free vibration of laminated composite beams with hybrid stacking sequence. The British University of Egypt, Cairo, Egypt (2009). International Conference on Advanced Materials for Acoustics and Vibration, The British University of Egypt, cairo, Egypt, 4-6 January, 2009. The Influence of ply orientation on the free vibration of composite beams. University of New South Wales, Sydney, Australia (2002). ACUN-4 Conference on Composite Systems-Macrocomposites, Microcomposites and Nanocomposites, University of New South Wales, Sydney, Australia, 21-25 July, 2002.